There have been several moments in poker which can be considered 'landmarks'. Moments which go on to shape the history of the game. The very first World Series of Poker was one such landmark. Johnny Chan winning back to back championships and Phil Ivey winning three bracelets in 2002 could be argued to be considered equally as historically significant. Chris Moneymaker setting off the whole internet revolution in 2003 is without doubt the most important landmark in the games modern history. And now, this writer believes, we are at the next major milestone in the history of poker. The era of Annette Obrestad. Reuben Peters may be the EPT Dublin champion (And let us not forget what an amazing achievement that is) but all the talk right now is about Annette_15, the first World Series of Poker Europe champion and now runner up six weeks later in one of the most prestigious tournaments on the EPT calendar. Annette is one of the most prolific online tournament players in the world and in the one year she has been legally allowed to play European live tournaments she has achieved more than some of 20 year pros on the circuit. She currently just outside the top ten in the online tournament rankings and, we will know later this week, potentially about to top the live European rankings (Where she is currently 7th). Annette was very unlucky not to win the EPT title; she ran over the field in the last two days of play and took a dominating chip lead into heads up play. Peters was able to double up early in their encounter and slowly took chunks away from Annette's stack, until he took her out when his Ace-Ten cracked Annette's pocket sevens. Another €297,800 would make most players very happy but Annette said "I made a few mistakes. I'm not happy", which demonstrates that not only do we think she is destined for greatness, she is aspiring to it too. But focusing on any one of those things would perhaps be detrimental to her ability. 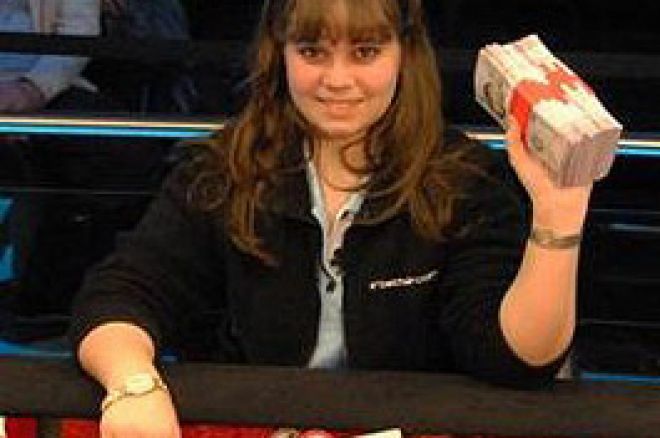 The fact is that Annette Obrestad is one of the most dominating forces you will ever find at the poker table. Aggressive, fearless and well educated in the game. Online or live, the girl that turned a $9 win on a free roll into fortune has the potential to go down as one of the greatest players in the game. When she turns 21 Vegas will not know what hit it and I would happily discuss a wager with anyone interested that she can add both an EPT and WPT title to her WSOP bracelet.